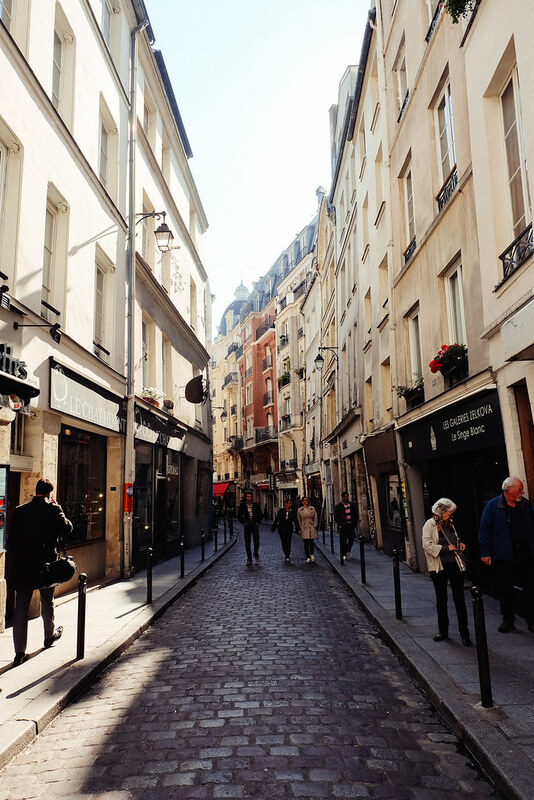 Paris will be a city that I'll probably find myself visiting time and time again, if not live in. 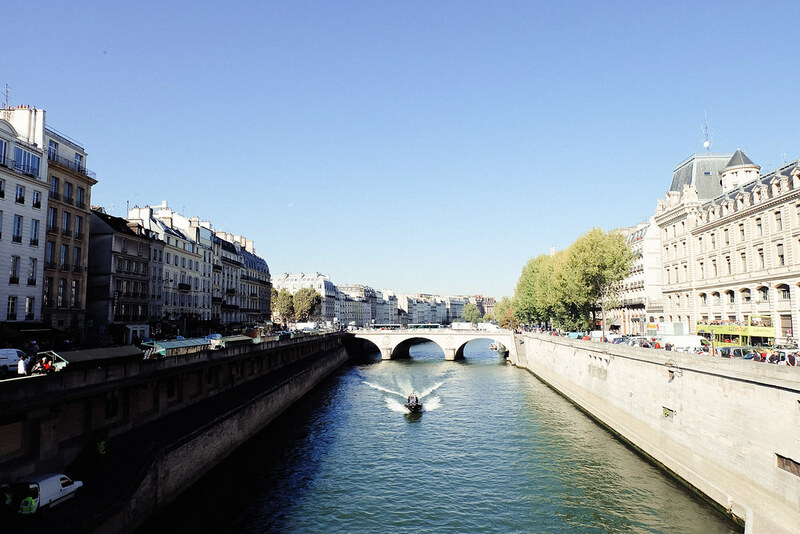 Gab, on the other hand, never really understood why I loved Paris so much, or why I dreamed of living there in the future (actually, I dream of living anywhere in France in the future. 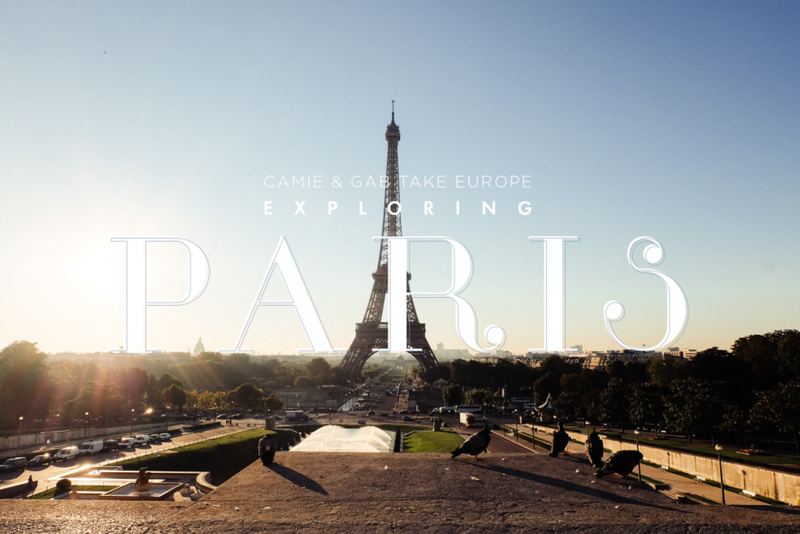 Paris just made my top choice because it's the first French city I've explored twice) but after the six days we spent there, Gab changed his mind completely. 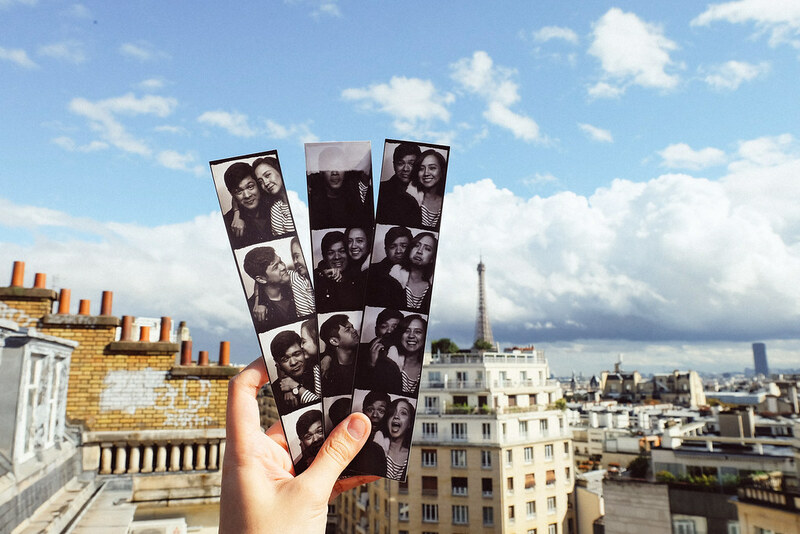 Paris became one of his favorite cities out of all the 9 we visited. It's safe to say he even liked it better than London, and let me tell you, he was hell bent on visiting London and the 5 days we were going to spend there was completely his part of the trip, it was the first reason why this Eurotrip even happened in the first place. 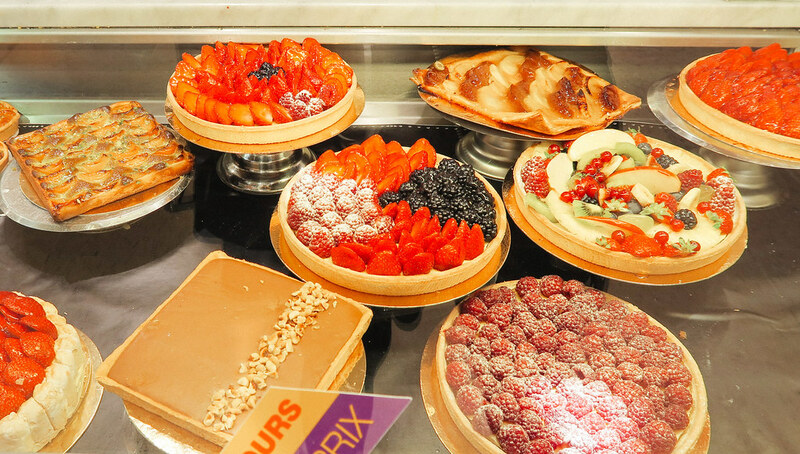 In the six days, we spent a lot of time exploring the city on foot, eating pastries, visiting our favorite Franprix near the flat to stock up on some junk food. 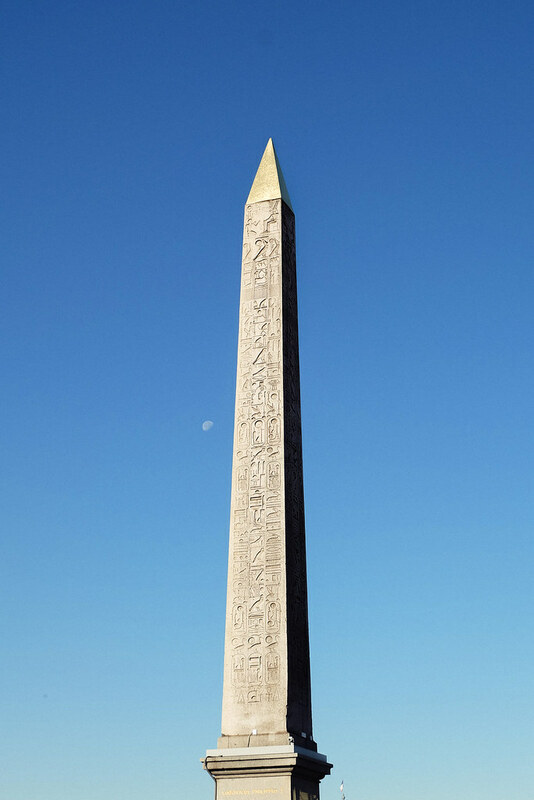 We put no pressure on ourselves to visit each of the famous monuments, just seeing them was good enough. 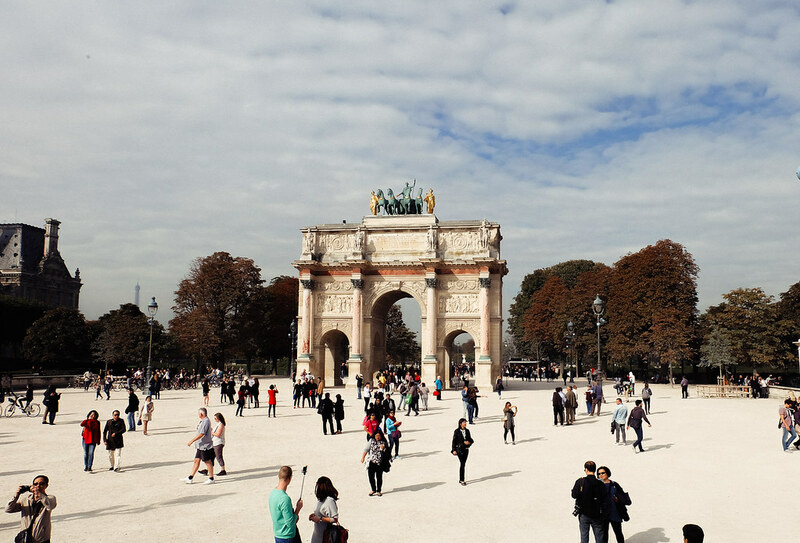 Paris is a huge city, and you definitely can't do everything you want in a week. 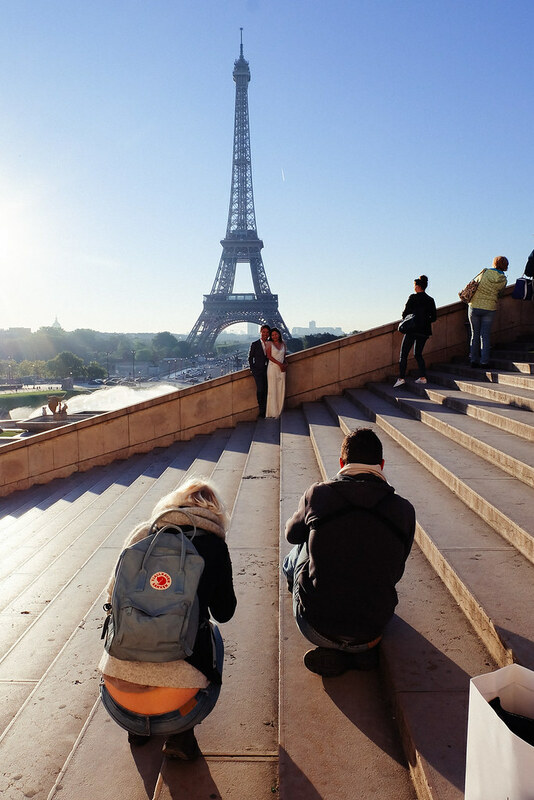 Heck, I've been twice and I still haven't gone up the Eiffel Tower and stepped foot into the Louvre. I prefer to explore cities by getting lost in them and Gab had the same idea in mind. I hope you guys enjoy the photos and my little anecdotes that go with them. 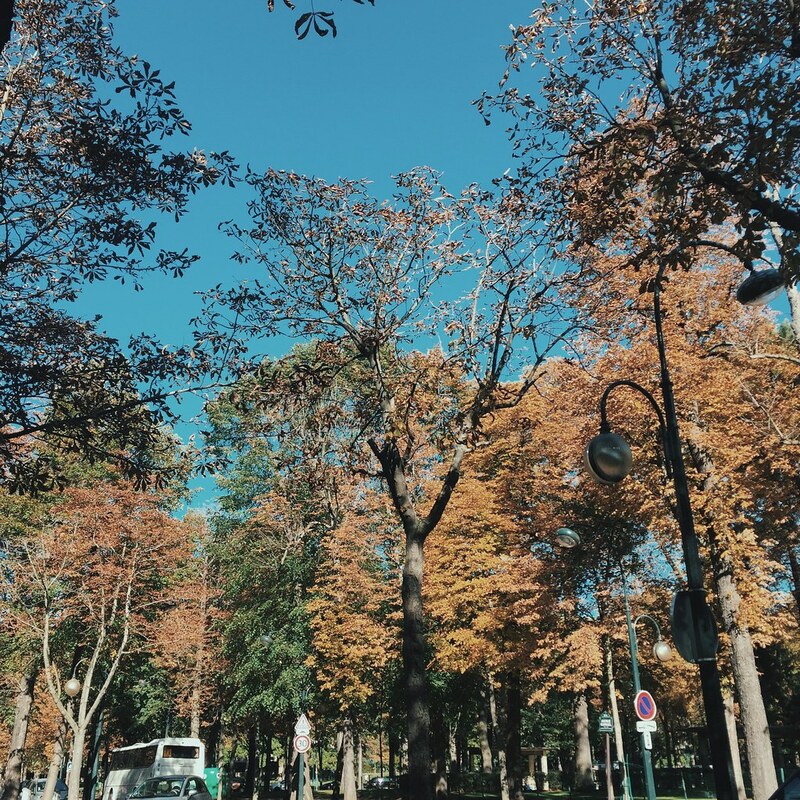 Paris is my favorite city in the world, and I realized this when I found myself getting sick of the city after a week but missing it immensely after I'd left it. 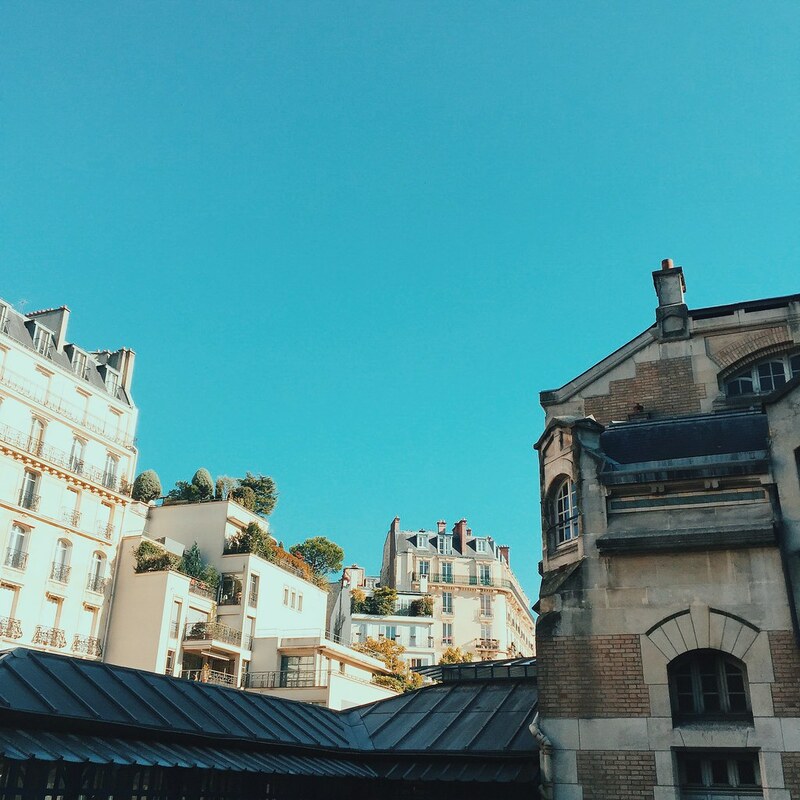 My favorite thing about Paris will definitely be the architecture, how old merges with the new, how nature is never lost in the big metropolis, and the rooftops... Oh the rooftops. 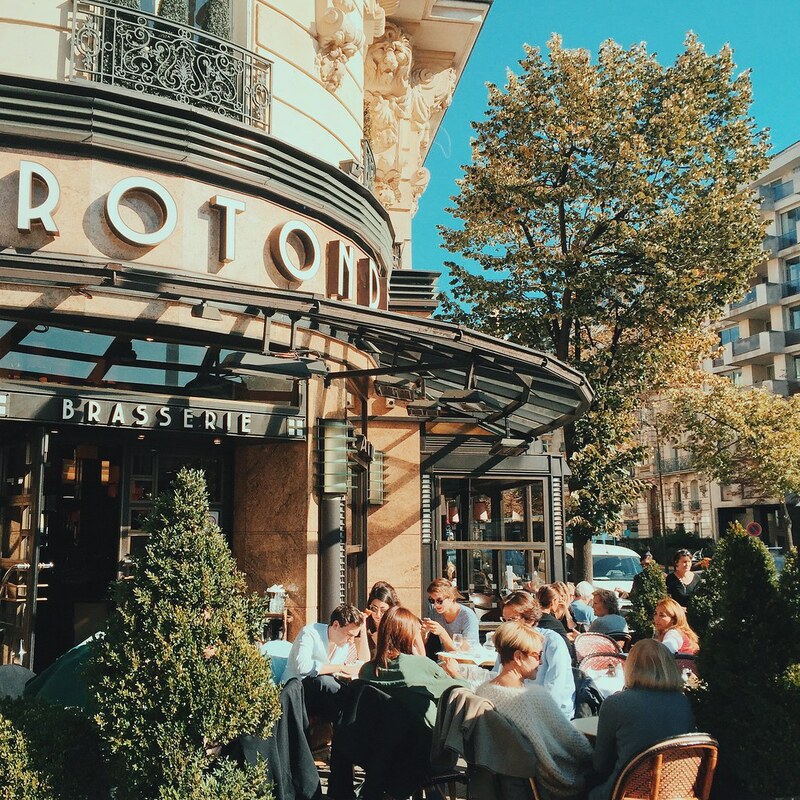 Locals enjoying the sun -- cafe culture is best in Paris. Getting lost in streets where tourists don't really go, unless they choose to explore and let their feet take them places -- much like Gab & I. 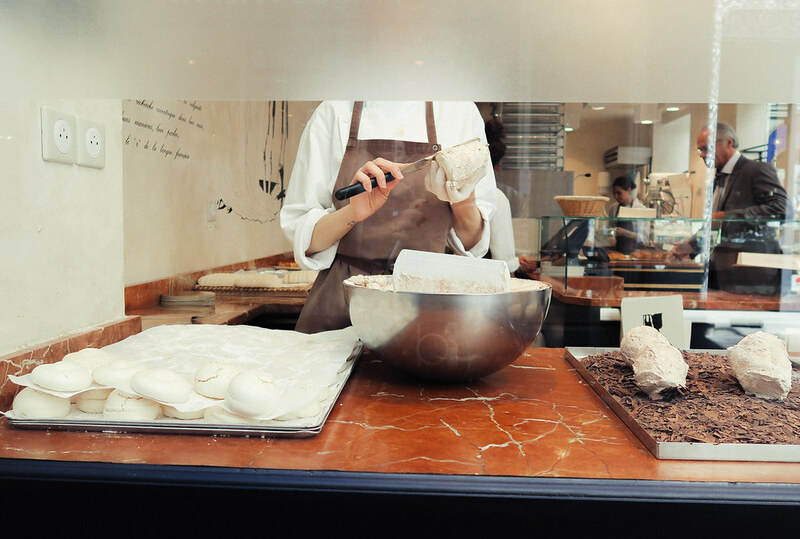 Go to Paris, find a patisserie/boulangerie where you can watch them make scrumptious desserts. They're the best of the best. Which one would you pick? I'd go for the one in the center. 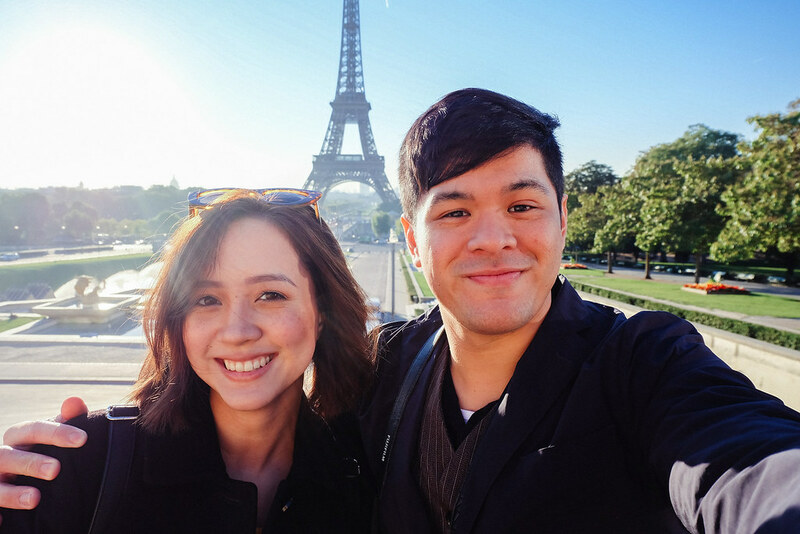 Gab and I tried to take selfies with the Eiffel behind us, because we didn't want to ask anyone to take it for us... So what we got is a blurry half Eiffel. I couldn't count how many couples were having their photos professionally taken for their pre-nups. They were everywhere. 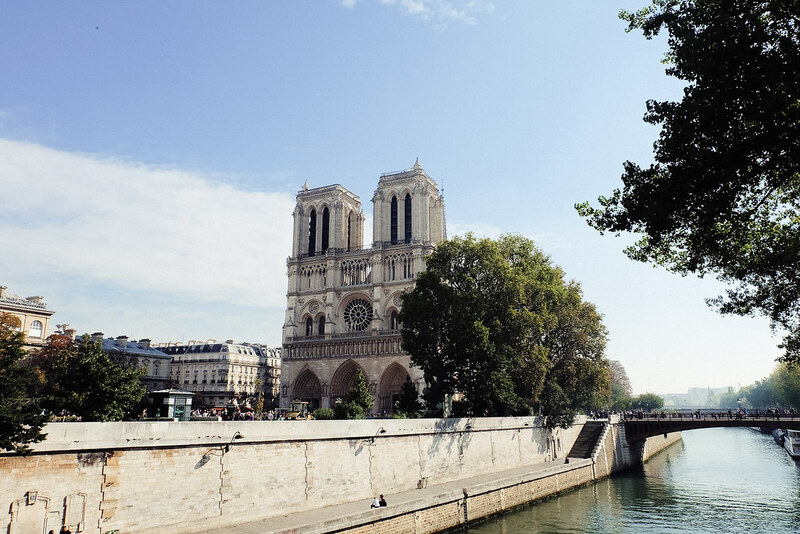 My second time in Paris and I still haven't gotten close to the Notre Dame... Oops. 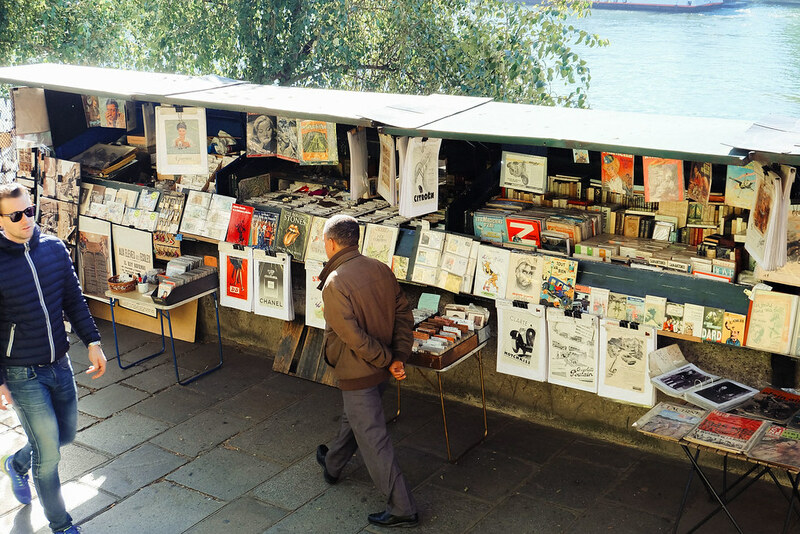 I heard these book stalls are running out of business, so they opt to sell souvenirs to keep their business afloat. 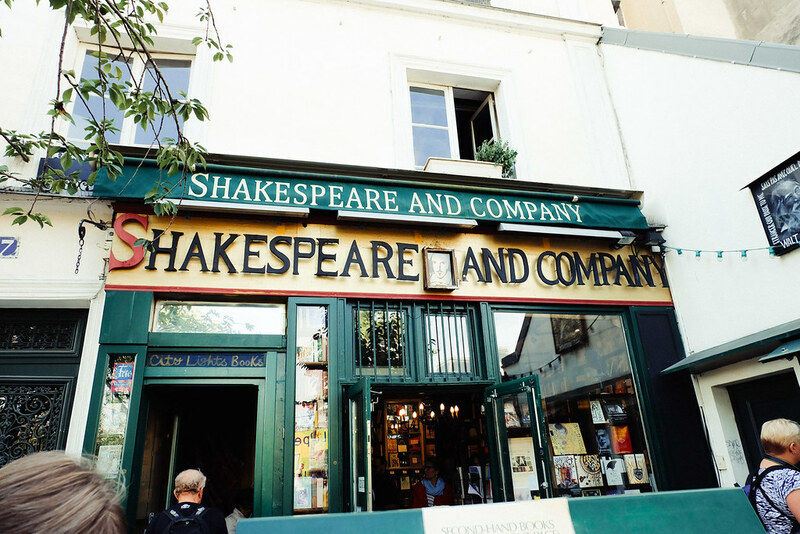 If I could read and understand French, I would buy books here. Maybe in the future. 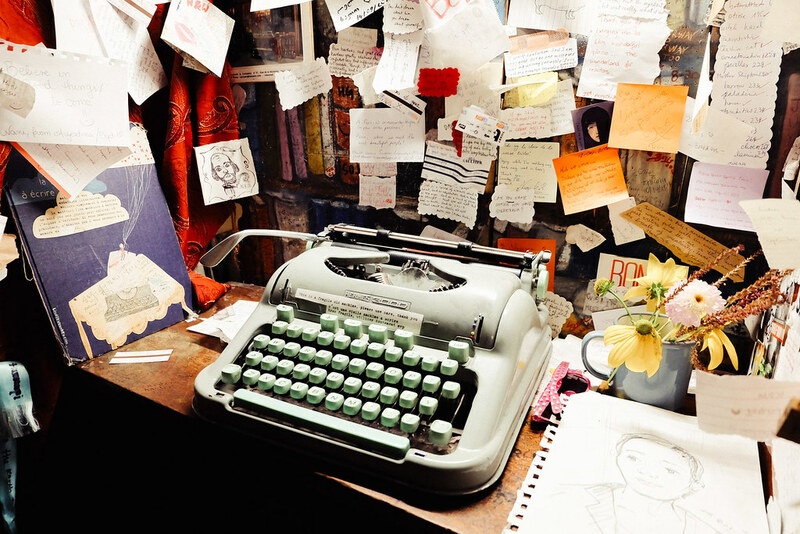 Notes from around the world. 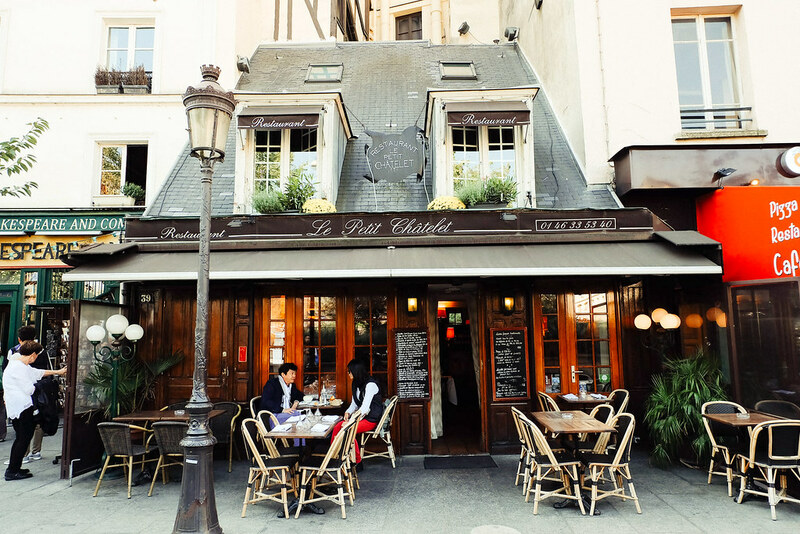 Quaint (and expensive) restaurants in Paris. I may not be able to afford to dine in one, but at least they make for good photos. Every corner you turn you'll find places like this that make you just go, "Is this for real? Did I somehow step into a movie set?!" But that's just typical Paris for you. Seriously, side streets are the best. Buy pastries, have a spontaneous picnic at the park, talk about the beautiful day you're having, the things that excite you, life in general. Here come the tourists. I know, I know, I'm one of them. 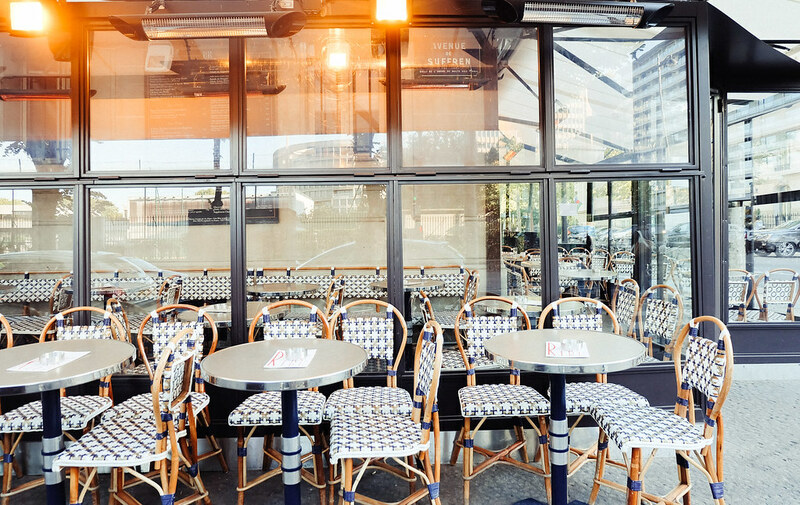 Bastille is a hip neighborhood, it's not to be missed. 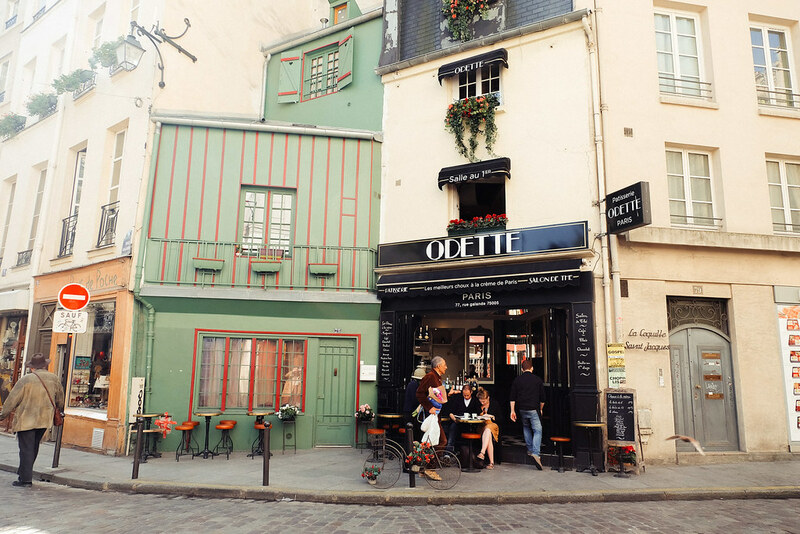 It was one of my favorites to walk through because of the number of restaurants and hip(ster) looking locals. 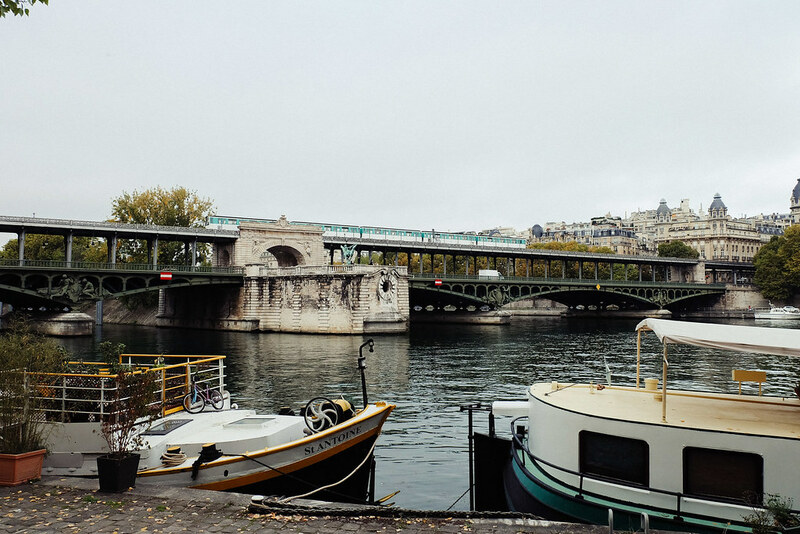 Walk by the Seine, houseboat owners will smile and greet you with "bonjour!" as they read their morning papers and have some breakfast. 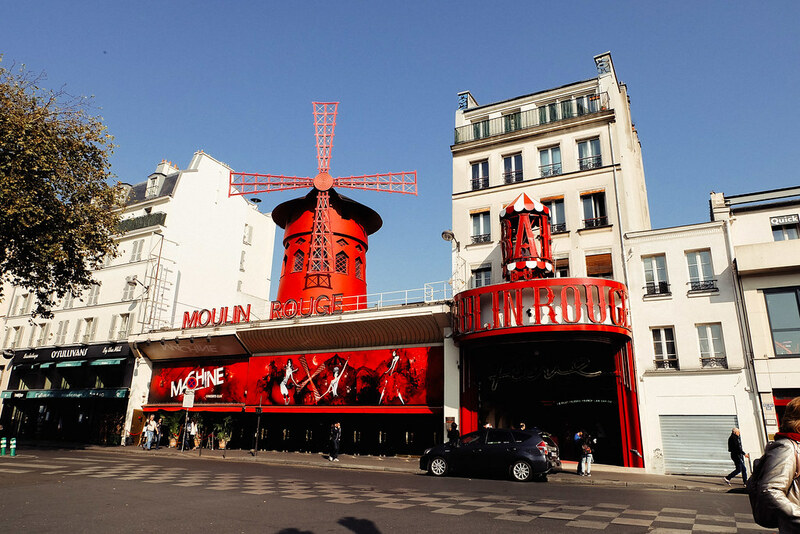 The Moulin Rouge, a little underwhelming considering I'm a huge fan of Baz Luhrman's Moulin Rouge movie. 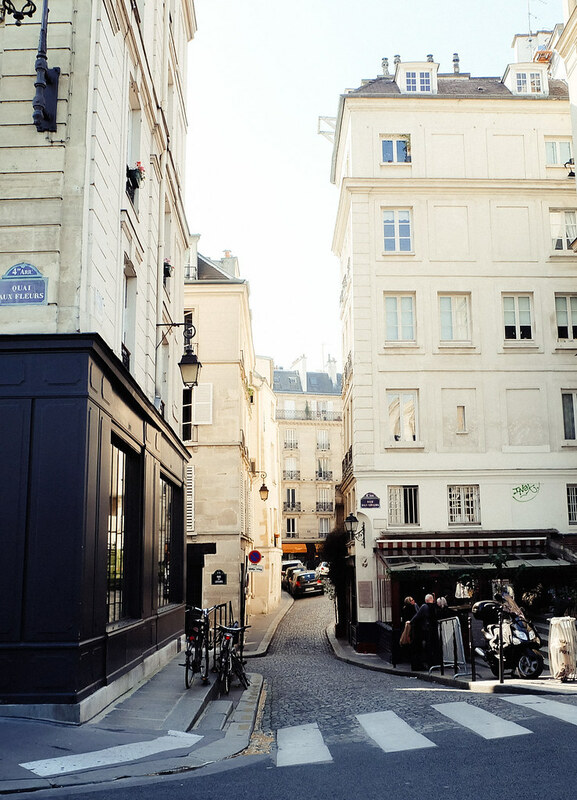 Always explore the side streets, you'll never know where you'll end up and what you'll discover. 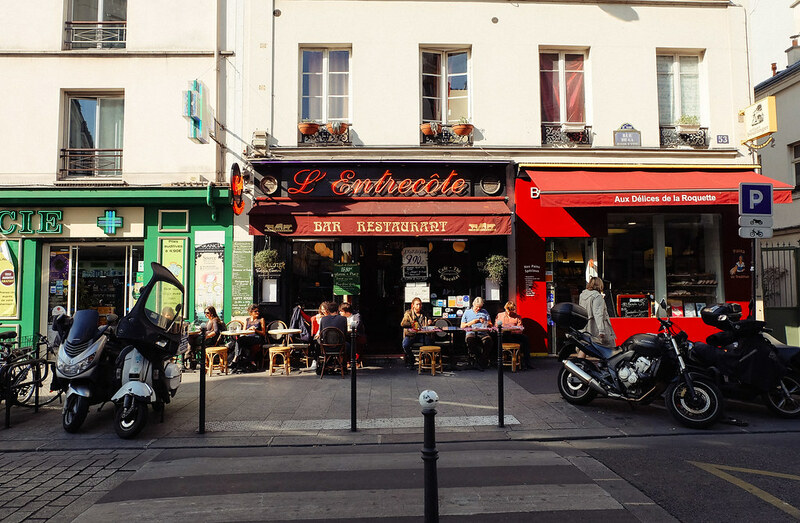 Maybe someday I'll be participating in cafe culture, when my French is better. Sometimes I forget it's autumn with the sun shining like this. Sometimes it's a little intimidating for me to enter establishments like this because I'm not confident in my French, but trust me, a cheery "bonjour!" when you enter usually does the trick. 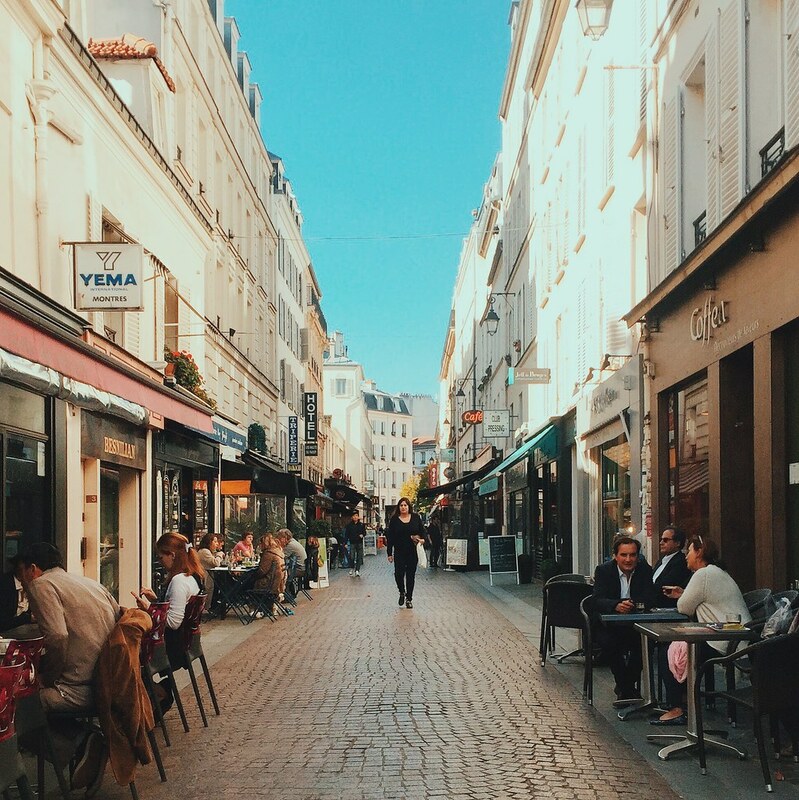 Most Parisian shop keepers expect tourists, so they won't be snubby. 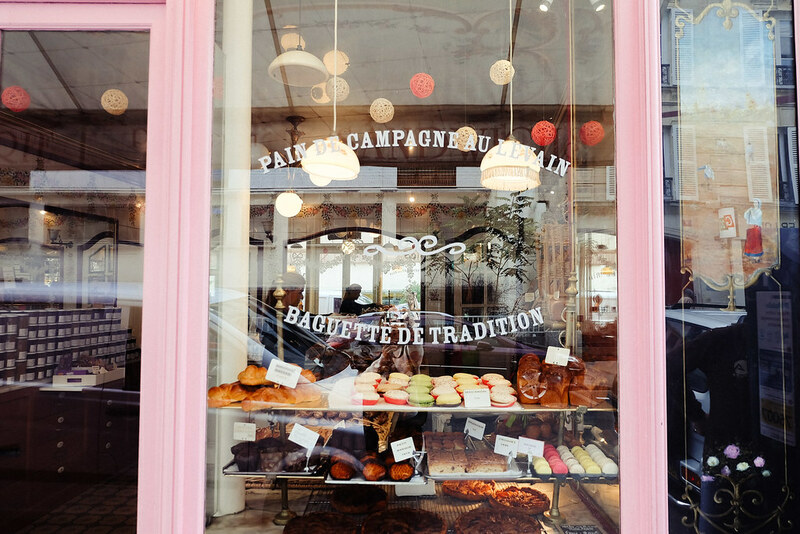 Order yourself some pain au chocolat, a buttery croissant, and some macarons. Go crazy. 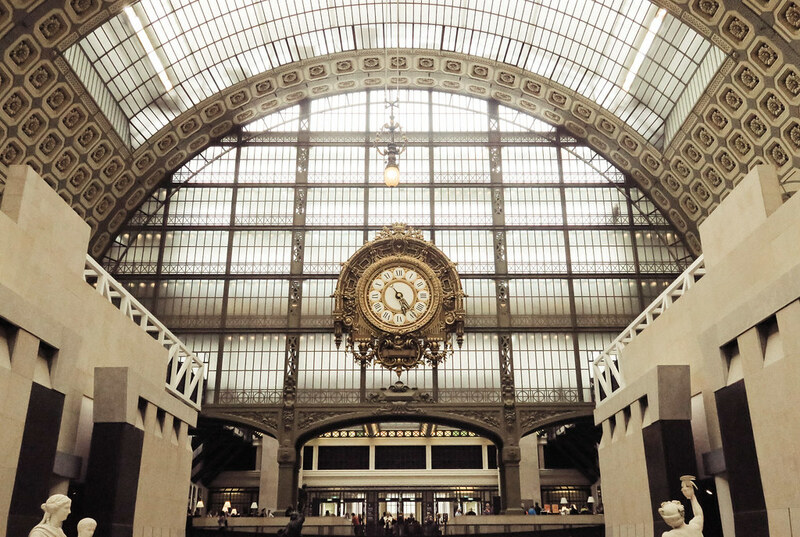 Musee D'Orsay's gorgeous clock, admittedly one of my favorite things in this museum -- aside from Toulouse Lautrec's work, of course. 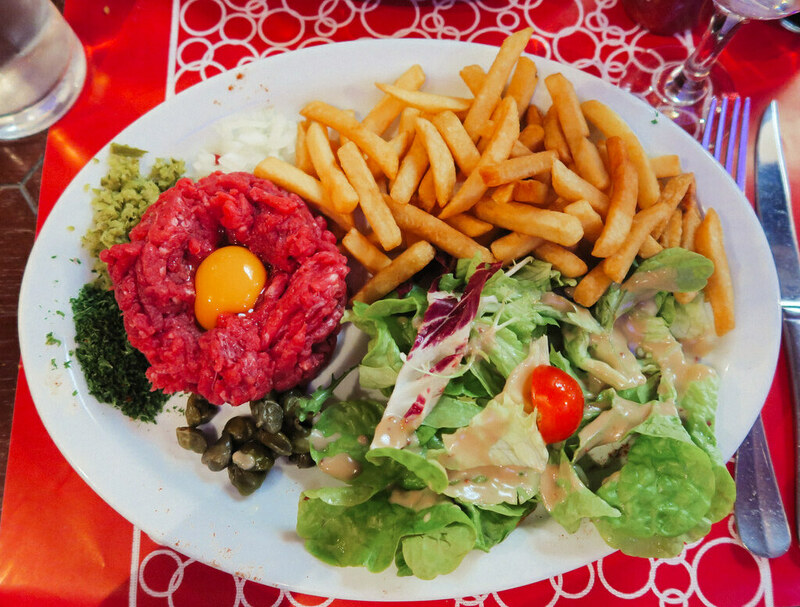 I told myself I would never leave Paris until I tried the famous steak tartar. I wasn't disappointed. Though the huge serving was a too overwhelming. If you're wondering what this raw dish tasted like, it tasted like salmon sashimi. 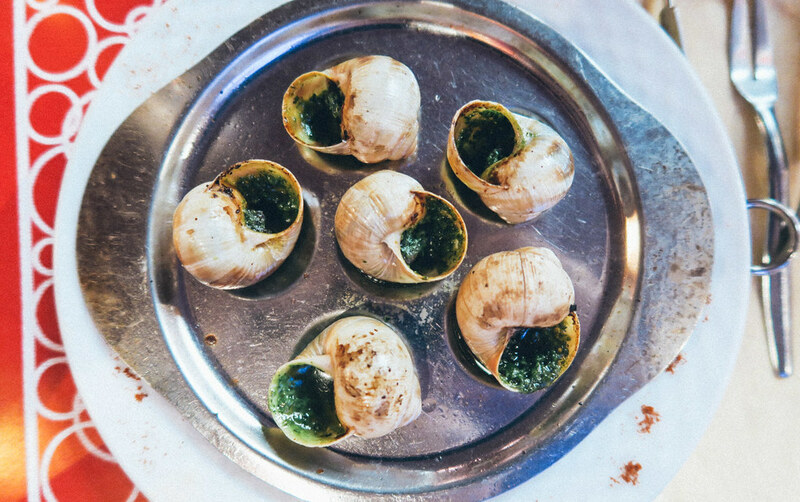 Escargot, also a must. Yum! We passed by a photo booth and went a little crazy. They cost us 2 euros each. Pricey, but no regrets at all. You never realize how tiny you are until you're underneath the Eiffel Tower. 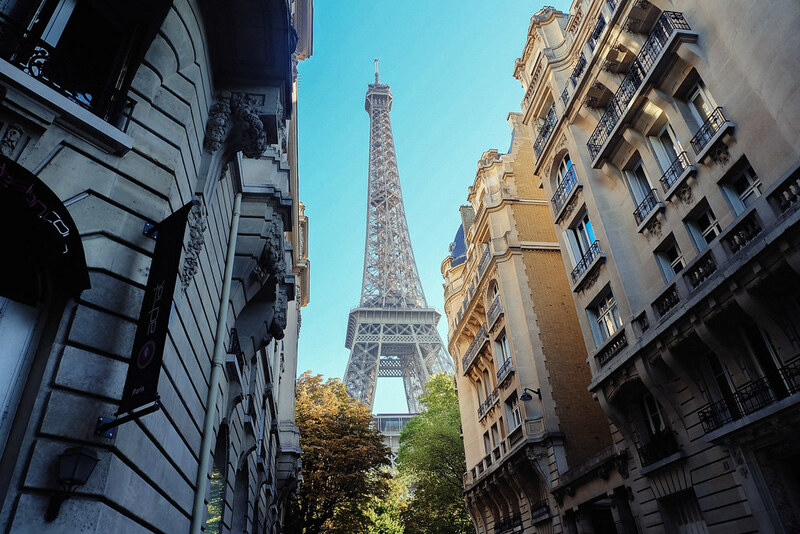 One of the joys of walking around Paris is when the Eiffel Tower sneaks up on you right as you turn a corner. It's been a tough few days for Paris and the Parisian/French people with the terrorist attacks that happened just a few days ago. Everyone is in shock, especially because this is the first time anything of this magnitude has happened in France (since maybe WWII). 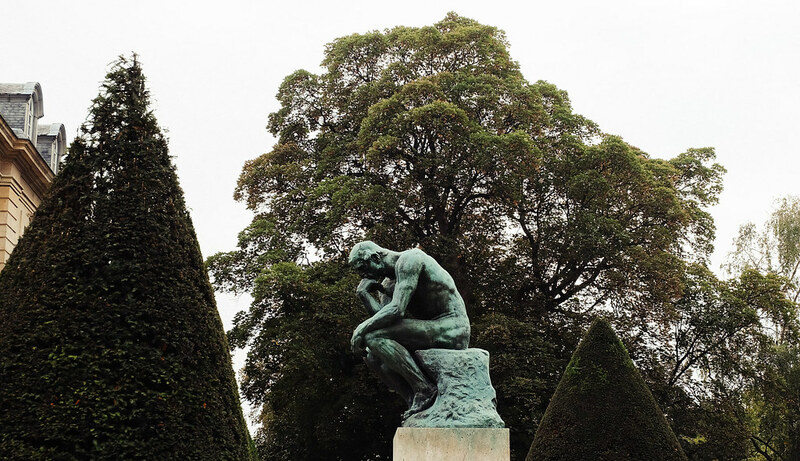 I was a little adamant about posting my blog about my visit to Paris last month, because I felt it wouldn't be the right time... But a few nights ago, I was invited by my host brother Guillaume to a dinner party with his college friends. When they asked what blog post I was working on next for my blog, I had told them it was about my Paris trip and how I couldn't post it due to the events that happened. Each person told me not to overthink it, that I should post it and I should post it soon. So, here we are. Paris, the city of light, the city that overflows with beauty, art, culture, freedom, equality, diversity -- everything the terrorists stand against -- should be remembered exactly for that. Let's keep the victims in our thoughts, especially the countries currently at war and are directly affected by the horrors these extremists/terrorists bring, but let's not be terrorized -- it's one of the ways we win.